Slim and elegant design with shiny beads on the upper barrel of the pen. Black ink refill at 1.0mm. 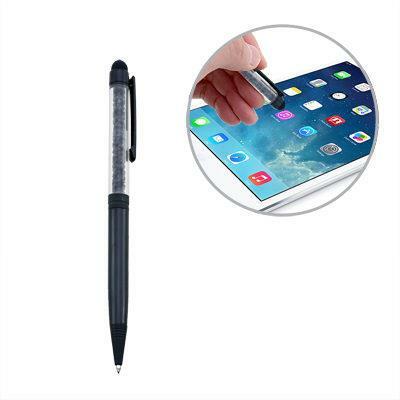 Due to the construction of this pen, in order to maximise functionality of the stylus, touch on the pen clip while using it.